One of the standout early arrivals on the Switch eShop has been Kamiko, a stylish budget-priced title that we enjoyed a lot in our review. It's proven to be a bit of a success, highlighted recently as it placed fourth in the Japanese eShop charts covering the period since the Switch launch. It was published in the West by Flyhigh Works, assisted by CIRCLE Entertainment, and Kamiko's developers will also bring their next game - Picontier - to the Switch as well. Now Chris Chau, co-founder and CEO of CIRCLE Entertainment, has given us an update on Kamiko's sales figures, along with a more information and assets for Picontier. You can see this update below. Kamiko was developed by @skipmore and @Kan_Kikuchi - they are a 2 person team that spent 4 months on its development. It's an original title and Switch exclusive. 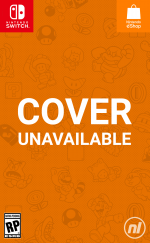 The game has sold over 110K copies in the Switch eShop around the world, and was published by Flyhigh Works with assistance from CIRCLE Entertainment. In terms of sales percentages, Japan is 25% (and it was #4 in Japan for the first half year of sales), US is 48%, EU+AU is about 27%. The game has sold in Japan about 3 months, US/EU/AU it's 2.5 months. So far the US is the biggest market, however the Eastern market still has a lot of users we can't ignore. We are usually thinking about why some local titles perform better than Western titles in Japan, and we think most of the reasoning comes back to game pricing, localization and local PR. Of course it's case by case, but regardless I think the Eastern market deserves attention from developers. Also we know many Chinese gamers may purchase a Switch from Hong Kong, so we've suggested to the developers that they should consider a Chinese language pack. Back to the developers @skipmore and @kan_Kikuchi, they've been focused on Picontier. The game has been announced for Switch and they're working on the design; we are targeting this year for release. The game content will be richer than previous Skipmore titles. The developers have studied and learned a lot from developing Kamiko to aid development of Picontier. I have updated some images that you can find in past tweets by @skipmore. Please understand that the game is still in development, so we are trying to modify it time after time, these are not final screenshots and the game is still being tested. Picontier is a slow-living miniscape RPG; you're living on the island, spend time farming, crafting, mining and fishing. The battles in the island are also important; this is the first time for @skipmore and @Kan_Kikuchi that they try to develop something different with their unique art style. I won't say it's an open world game, but it does allow you to do many things; personally, I cant wait to play it! Have you tried out Kamiko yet, and are you interested in Picontier? Let us know what you think down in the comments. More fun games the better! I plan on giving kamiko a shot when I can. My baby brother has it and it looks good. I'm currently flooded with games atm though. Good on them for doing so well. You'd be an idiot not to buy Kamiko. I'm not as crazy about Kamiko as a lot of other folks appear to be, but I'm still very happy for their success, and definitely interested in their next title from the looks of it! More good games is always a good thing! That's good. Its very low price clearly helped. I'm really looking forward to Picontier since it's announcement and I'm absolutely happy that the game will launch on Nintendo Switch as well as on 3DS. It reminds me of Earthbound and Stardew Valley a bit. Kamiko was fine. Very derivative, but the game was short enough that it didn't wear out it's welcome. Looking most forward to Picontier. I didn't enjoy the game, but it seems like a lot of people did. I'm impressed by their sales numbers. Like the game but havent gone back to it in a while, not its fault more of mine. I hate games like picontier this but good job to the developers. I know that I bought Kamiko...didn't finish it but good on them. I thought the game was just okay. It was priced fairly, but didn't really do anything new or special and lasts only a couple hours. Not bad, but I'm hoping their next effort is something a bit more unique. EDIT: @Jessica286 I get the point you are trying to make, but pointing to a $5 indie that sold only 110k copies is hardly an indicator that third parties are having massive success on the Switch, especially when talking about AAA third parties. A tidy little game. A joy to play, and a bargain for the price. @roadrunner343 Any good game can sell on Switch. Hint: good. If developers actually release on same day and give us same features we will be there. Btw not talking about graphics at all. Yes, I'll pick it up, and by the looks of it, it might just be the first game I play through in Japanese (and, if they have it, Chinese on a second playthrough). @Jessica286 Again, I'm not saying otherwise. I'm saying you picked a poor example - and that is to say nothing of the quality of Kamiko, but 110K sales of a $5 is not exactly the type of sales that is going to convince a AAA third party to jump on board. EDIT: And just to clarify, the Oddworld developer did not say games don't/won't sell on Switch. He said he has no faith in Switch. Which means he is waiting for further proof/evidence of third party success. This is the first I have seen of Picontier and it looks fantastic. Good job developers. @roadrunner343 110k copies for a game that was made by two people is massive, and it's obviously not going to suddenly stop selling. Lanning has only himself to blame, he chose to put out the PS3 version, the version for a console that came out a decade ago, before the Wii U. That version was also free through cross-buy, so if you bought the PS4 or Vita versions you got the other two for free. Also, that version could be found for 8 bucks on Playstation platforms before it even came out on Wii U (and you could also buy it on PC, XBOX, etc.). Third parties that respect us will see the sales they deserve, and looking forward we are seeing some good examples (FIFA, NBA2K, WWE, etc.). I pick Kamiko and I'll pick Picontier. Kamiko was very good!!! @roadrunner343 to be honest he shouldn't release anything. People are sour for his remarks and his games will not sell. @gortsi It is great for them, but you're still missing the point. Pointing to Kamiko as if it somehow proves AAA third parties will be successful is just not relevant, and it does not discredit the Oddworld developer's concerns, either. Full disclosure, I don't agree with his viewpoint, but this is not the shining example I would use to convince him he's wrong, either. EDIT: @Jessica286 Yeah, people are definitely sour over his comments, he definitely said some things that were in bad taste, I won't try to defend that. However, it's not hard for me to understand why developers are apprehensive to jump on board with the Switch, given the Wii U situation. Even going back to the Wii, which was simply too big for third parties to ignore, bringing games to Nintendo platforms typically requires a completely separate workflow/project, as it not a matter of simply porting straight to Switch. From that perspective, I do think Nintendo needs to go out of their way to help get third parties up and running on Switch and prove to third parties why they should go through the hassle. Personally, I think Nintendo is doing a much better job so far, but I do understand why third parties are still hesitant. Kamiko is fantastic and a game I'll boot up once in while for a quick blast. Soundtrack is something special, too. @roadrunner343 I don't think she did that is my point. Pointing to the fact that a game that was good (and, in this case, exclusive to the Switch) sold well though is relevant. His concerns are irrelevant, and I'm not being negative towards him just for this interview. He's made similar statements against Microsoft in the past. It's been proven time and again now that in most cases late ports that don't offer a good value proposition to people (e.g. all previous DLC included and such) will not sell well. Look at what happened to most third parties' botched ports on the Wii U (as well as some others that didn't deserve it too, if we're being fair). @gortsi I'll be honest, I'm only familiar with his most recent comments, I don't know what he's said in the past about MS. However, I don't think his concerns are irrelevant, for the most part I think they are valid, even if I do believe Nintendo is working to address most of them. However, I'm not sure how you can say that she didn't attempt to make that point - She called him out with a tongue-in-cheek response specifically citing Kamiko as an example - which, again, I can appreciate the sentiment of the post, I just don't think Kamiko does anything to rebut Lanning's comments. @MattFox $5 US. Not sure about other regions, though. @roadrunner343 I agree with you. I think that bomberman and puyo puyo having their biggest western openings for generations is far more important but even that is not enough. Great sales for a game like this. Skipmore games are always enjoyable budget releases; will definitely pick Picontier up. For me, I think it's most interesting that 25,000 copies was enough to secure Kamiko fourth place on the Japanese eshop. The drop-off down to, say, 10th must be pretty hefty. There are some really good eshop titles, and I just hope they make the developers enough for it to be worth their while to keep supporting the Switch. If you got a two-man team, though, it's not bad! Skipmore really deserves all the love he can get. He basically makes high quality FREE smartphone games just for the heck of it. And ever since Fairune got picked up by Nintendo (which he sold for frickin 1$! ), he develops for Nintendo ONLY purely out of his love for the company. He also makes sure to price his games extremely low, because all he really wants is that everyone plays his game. He also develops games in no time and they are all bug-free. He is pretty much a role model of an indie game developer and thus deserves all the support you can give him. @Masurao Skipmore's ability to develop games on a budget is truly impressive. It requires a keen sense of what gameplay is fun yet will be inexpensive and quick to produce, and what art design looks good yet will be inexpensive to render graphically. It undoubtedly takes more skill and talent than games with larger budgets and longer development cycles. RCMADIAX would do well to learn from Skipmore how to occupy the budget title end of the video game market. good fun game to play. well worth the price even if you dont drop a lot of time into it. 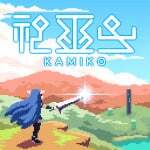 Kamiko is great, happy to support these guys moving forward. Kamiko is pretty good, Picontier looks charming. Hopefully it turns out well. Wonder if Picontier will be priced similarly to Kamiko. I haven't played Kamiko (I think it might be too short/arcadey for me), but I'm very interested in Picontier. I dig the openworld life sim + farm sim + RPG gameplay and art style of Picontier. It seems to have enough content and is replayable as well. I like how this is on a smaller scale. The first Harvest Moon and first Rune Factory were on a smaller scale as well, but that's what made them popular. And it also didn't mean they were too short or something, they were just right. Also nowadays Harvest Moon's or Stardew Valley's giant scope can be intimidating and overwhelming for some gamers. Be happy CIRCLE, over 110,000 units from a small team ain't nothing to sneeze at. Didn't pick up Kamiko, but Picontier seems right up my alley. Looking forward to this release! A good game at a good price SOLD WELL? Who'd of thunk it. Awesome news for this two person team. They are getting to develop something that stretches a bit and is more risky. Good timing with the right price on an untested platform was already a risk. As far as Kamiko, for me it is lacking a bit. I just wish there were more choices in how to do things. Besides the pretty fun action gameplay — that's its strength — It's more going through the motions and the respawning monsters feel like a chore sometimes. Pixel art is quite adorable, however, and the price makes up for the downsides for me. Like @MarioPhD I still look forward to what they do next. Plenty of potential in this team and that game concept sounds more fun.